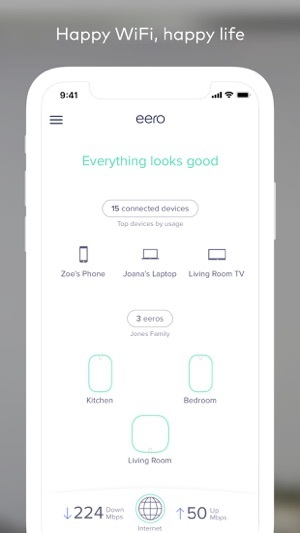 The eero app allows you to easily set up and manage your eero WiFi system (sold separately). The world’s first home WiFi system, eero blankets your home in fast, reliable WiFi. eero stays new and gets better with frequent software updates, improving performance, while also bringing new features and security improvements. It’s simple to setup and easy to manage. With a network that expands as far as you need, you’ll finally be able to stream, work, and play, from every corner of your home — and from the backyard, too. We want to hear your feedback. For any feature requests or thoughts on how we can improve, reach out at support@eero.com. 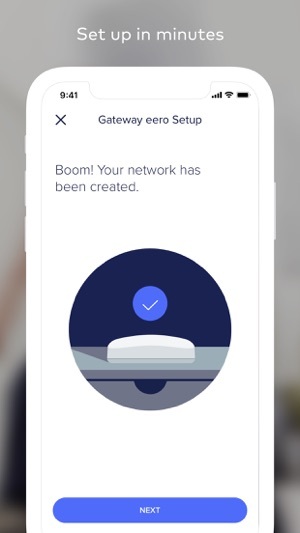 eero is currently only available for purchase in the US and this app requires a US phone number to create an account. 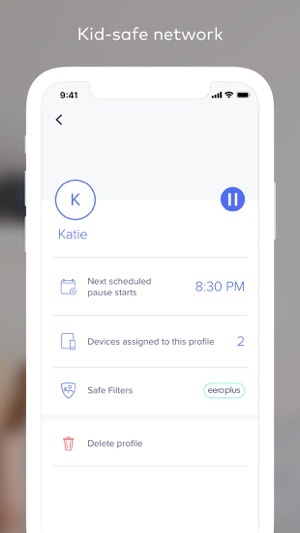 The app is basically an advertisement for Eero Plus. I bought these to replace an AirPort Extreme in 4000 Sqft house with an open floor plan. I thought the mesh should be a good fit. The Extreme was great for tiny apartment with crowded signals in San Francisco but in Dallas I needed something with strong coverage. Went with Eero based on several reviews that said it was better than Google’s. From the moment I hooked it up the throughput was bad. The routers ran hot and even worse the tech support from the company is rude and unhelpful. So a i split between the old AE for apple devices and everything else on Eero. Then they come out with Eero plus if the router was already bad I thought maybe paying the toll may get you better customer service with the company. It didn’t the eero plus feature is half baked and feels intrusive. Honesty, feels like the company is penny pinching every dime. So I had no luck this weekend I contacted auppprt because movies never stream over these erros and I thought maybe I could get it fixed. I was told to run like 10 variations of speed test on different sites and totally blown off. When I told them I finally decided to just purchase a new non eero router their response was “happy Easter”. Hope this helps someone avoid my bad experience with them and spend the money on quality instead of good marketing. (Note: I updated to 5 stars because the app has been updated with an iPad-optimized version. Thank you, Eero !) My new Eero system is working wonderfully and worth 5 stars. But I’ve removed a star because of the lack of an iPad version of the app. It could be the same as the iPhone version but optimized for the bigger screen and providing the ability to use it in landscape mode. I’m always on the iPad in landscape mode with keyboard attached and hate having to pick up and balance the iPad in portrait mode while accessing the app. For such a beautifully designed product, great packaging, and well-thought-out app (on iPhone), the lack of an iPad version makes the product feel out of date. 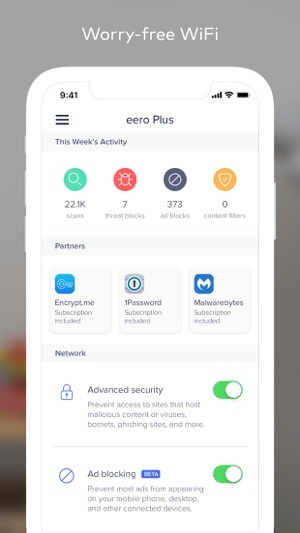 Oh, and let us turn off the ad (I’d remove another star for that, it it really is a 5-star product and don’t want readers to think the Eero itself is only worth 3 stars). Thanks for the feedback! We are excited to share that we recently released an update to the eero app that now has support for iPad screens! Thanks again for your feedback and support. I have read through the comments and kinda laugh at some of them for saying eero is a bad device and I strongly disagree I am 17 years old and really run the house electric tonically, I am not a part of Eero however this is recommended to anyone, to those who have bad feedback are most likely just clueless about the 21st century my 11 year old sister could have set this up and have it work great (not as good as me cause ya I’m better lol). 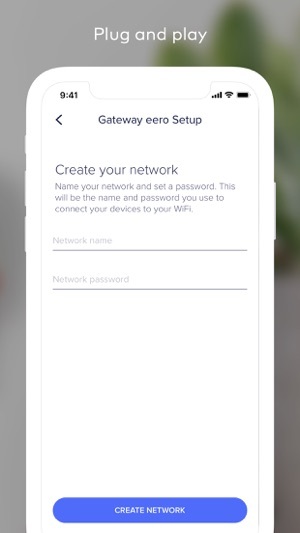 Phones will automatically magically connect to the closest eero however laptops (excluding macs) will not do this, however it is simple turn your WiFi on and off and boom it will be on your nearest and strongest connection in the house. Please invest your money in this, this product is truly amazing.